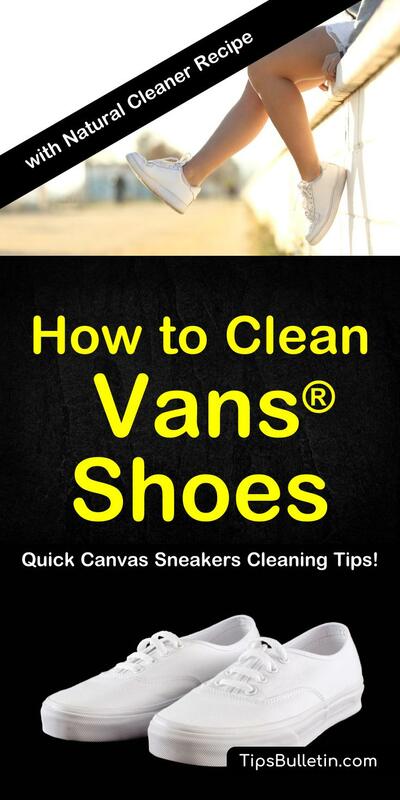 In this article, you’re going to learn how to clean Vans shoes with out of the box solutions, how to clean white Vans®, and how to wash Vans shoes in a washing machine. 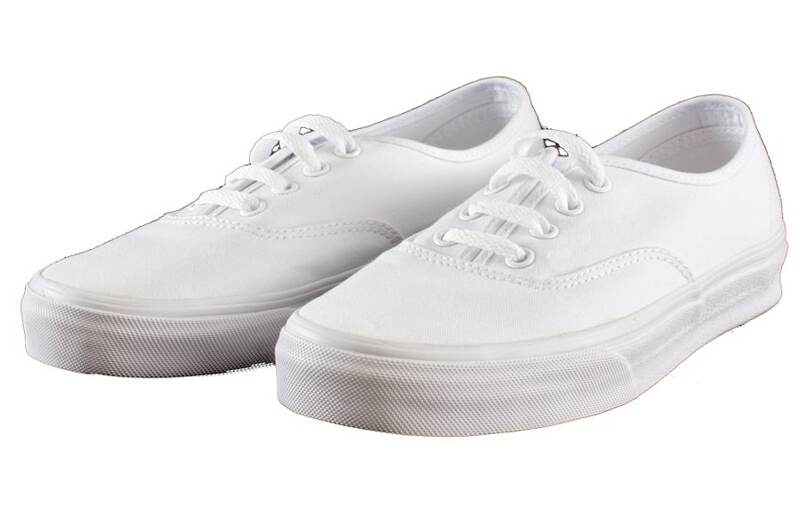 White sneakers are always fresh and in style (except after Labor Day). That is until life happens and they get scuffed up, or worse, you step in a puddle. You’re afraid that they’re impossible to clean and will never return to their former glory. Remove all laces and inserts. Place the shoes in a bag, such as for lingerie or other delicate items. Don’t wash in hot water, only warm, and on a gentle cycle. Do not put your shoes in the dryer, as heat can damage them. Let them air dry. Stuff the shoes with something to help them keep their shape as they dry. Packing paper, paper towel, or newspaper will work. First of all, even though most Vans® are fabric, avoid throwing them in the washing machine. It will get the dirt out, but they also may come out in bad shape or even shrink, being tossed around soaking in water. Remember, since they are shoes with a solid rubber sole, you can not unshrink them like clothes. The washing machine and detergent you use may also cause your white shoes to yellow or otherwise change color. This coloration is believed to be the glue spreading to the rest of the shoe. You might consider bleach, but bleach might be unwise. For one thing, bleach is hard to work with and can irritate your skin. Splash it in the wrong spot, and you won’t just have to worry about the color of your shoes. Bleach may also cause white shoes to turn yellow. Do your shoes a favor and skip the washing machine. Instead, use these simple tips and household products to make your whites white again. While throwing your shoes in the washing machine might be unwise, laundry detergent can still be a good solution for cleaning your shoes. Make sure you remove all laces and inserts before any cleaning method so you can get in the small areas. Fill a bucket or container with warm, clean water. Pour a little bit of a mild detergent in and allow the water to suds up. Using a soft brush, dip it into the soapy water and use it to scrub gently at the dirt on your shoes. Make sure to rinse thoroughly without submerging the shoes in the water. Once they are clean, wrap them in a towel to get any excess water out, and then lay shoes out to dry completely. Make sure they’re dry before wearing them again. Detergent or oxygen bleach, such as OxiClean, can take care of stains such as dirt, mud, and scuffs. For a tougher mess that leaves a residue, such as a grease or something sticky, try nail polish remover. Rub it onto the stain using a cotton swab or cotton ball. Alternatively, you can use rubbing alcohol the same way. For a more natural cleaning solution, look no further than your kitchen cabinet. Baking soda is a common cleaning product that is safe to use and doesn’t smell bad. Mix it into a thick paste with some water and acquire a clean toothbrush. Using the toothbrush, apply the baking soda paste to the entire shoe in small circles. Make sure you get every outside surface covered well, including the rubber sole. Once you’ve applied enough paste, rinse the shoe with a wet cloth. Let dry completely. Mix hydrogen peroxide with the water and baking soda for extra cleaning power. For another natural cleaning remedy, mix lemon juice with water and clean your shoe using a sponge. How to clean leather shoes and boots – a detailed care guide. How to clean leather – with a detailed recipe for a homemade leather cleaner. Since your shoes are fabric, it is natural that common solutions for cleaning fabric would work on them. Lastly, you can buy a special cleaning solution for Vans ® made particularly for cleaning canvas sneakers. 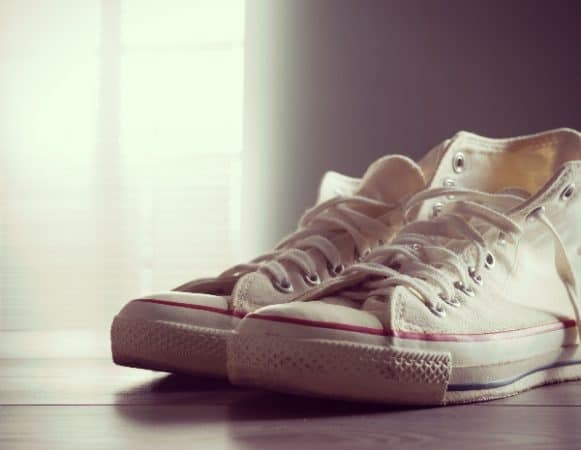 However, there are a few other ways to clean canvas shoes that are a bit more unconventional. You use toothpaste to clean your teeth, but your shoes? If you use a completely white, non-gel toothpaste, you can apply it to bad stains on your shoes with an old toothbrush, rubbing in thoroughly. Then wipe off with a damp cloth, repeating as many times as you need. Let dry completely. This method won’t clean the stain as well as soap, but it will cover it while helping take it out. It might be useful to use a more thorough cleaning method afterward. Instead of detergent in the cleaning method above, you can use dish soap instead. Dish soap is great for getting rid of grass stains on clothes and shoes. Not only can you use dish soap, but some people also swear by cleaning canvas shoes in the dishwasher. Place them in an empty dishwasher face down on the top rack and run as usual, but not too hot. Let dry, stuffing them with paper to keep their shape. It’s almost impossible to keep shoes clean, especially if you wear them outside, but there are a few methods to protect their color. You can get shoe stain protection products from stores that will protect your shoes from stains. Alternatively, you can use simple laundry starch to prevent stains too. 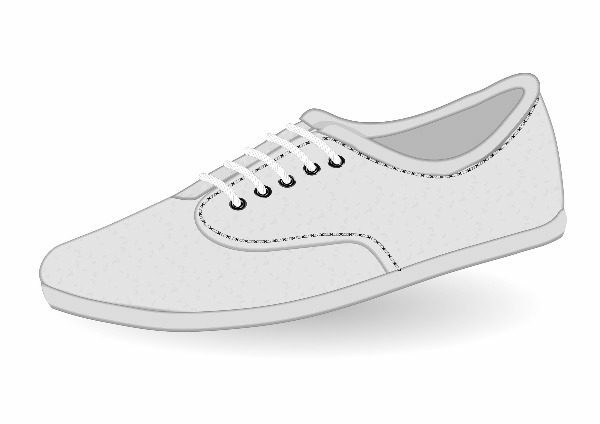 With a dry nail brush, you can brush talcum powder into your white shoes to bring back the bright whiteness. Talcum powder is good for if your shoes still look dingy after you clean them. For the white areas of your shoes that aren’t fabric, try a little bit of liquid chalk for shoes. Your shoes are a component of your outfit. If your shoes are supposed to be white, and they’re dirty, grimy, or covered with grass stains or oil stains, then your whole outfit suffers. Rather than drop more of your hard-earned money on a fresh pair, or leave them sitting in the closet except for special occasions, why not just wash them? In this article, you learned how to clean Vans shoes. You learned how to clean white Vans® and how to wash Vans®. Did I leave anything out? What methods have worked well for you? Let me know in the comments, and use the buttons below to share to Facebook, Twitter, and Pinterest!